It is anticipated that there will be five million people in the private rented sector by 2022, a figure that has doubled in the past fifteen years. Nearly half of all 25-34 year olds are living in the private rented sector and there a million more families in PRS now than in 2006. Shelter and the National Housing Federation’s undercover report showed one in ten lettings agents have a policy to refuse people properties if they’re on housing benefit – potentially 1.64 million people who can be turned away without justification. Those most affected are women and those with disabilities who are three times more likely than the general population to be in receipt of HB. This means that even if you are in work, because it is low-paid or part-time, you will be rejected by five out of the six largest lettings agents in the country. And that’s before they even start to work their way into your wallet to check references. The government seems completely uninterested in helping those people who are forced to try to secure a home in the private rented sector from this blatant discrimination. With the private rented sector being the only available option for many, we should not simply accept such casual disregard for individual circumstances. We must apply pressure to end the blacklisting of housing benefit tenants. Landlord representative organisations say the main barriers for landlords relate to rental payments being late when benefits are involved. Housing benefit is paid in arrears, and typically rent can no longer be paid directly to landlords, which creates greater uncertainty. For the one million and more people sat on council house waiting lists, the only option left for them is the private rented sector. If they happen to earn irregular incomes or struggle to budget on a low income, they are frozen out by a private lettings system that will block any chance of gaining the security that comes with their own home. The government could do something. It could insist that applications for homes are genuinely assessed on a case-by-case basis, that references are the judge of a good tenant, not the fact they are paid the minimum wage, it could give people on the disastrous Universal Credit payment on day one rather than the built-in five week payment delay. But if the government won’t take action and private sector cannot or will not provide, where do people turn? They should see a government that has an energetic, well-planned council and social housing building program. Instead, Conservatives are off the pace, fresh out of ideas and scrabbling to react to last weeks’ headlines. Over the last year they ‘succeeded’ in building the lowest level of new social homes on record. Labour understands the needs of those in the private rented sector and will ensure that their voices are heard. By introducing caps on rent rises, landlord licensing and creating new consumer rights for renters, their position will be strengthened and placed front and centre of our plans to build a million new homes, of the right kind, in the right places, over the next ten years. 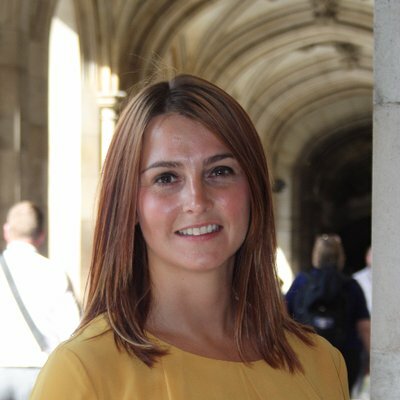 Melanie Onn is MP for Great Grimsby and Labour’s shadow housing minister.